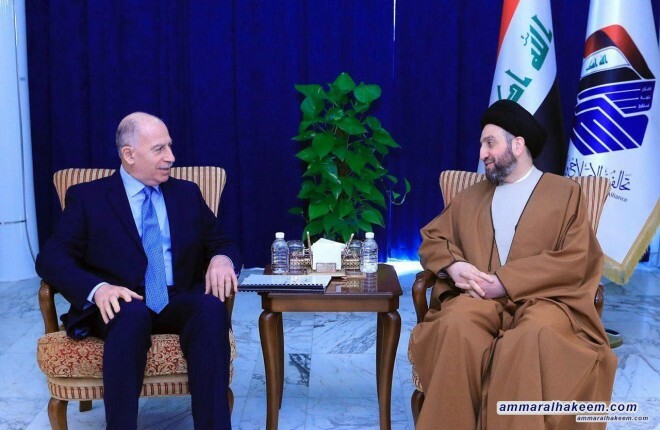 His eminence with Nujaifi discussed latest political situation in Iraq and the region, pointed out the need to complete the government cabinet and support the implementation of governmental program, indicated the importance of choosing competent ministers, and reconsidering those who have legal issues or suspicions of corruption. His eminence stressed that candidates must be impartial, efficient and capable of management, and reiterated support for the government in implementing its development program. Sayyid Ammar al-Hakim pointed the neutrality of Iraq and the need to exit Iraq from the policy of regional and international axes. Meeting also covered latest developments in Mosul, and the recommendations of the Ad-hoc Committee to pass it in the House of Representatives.